12 nonprofits in Kenya have every reason to smile after Google.org announced an investment of 200 million shillings so that they can fund their projects and activities. 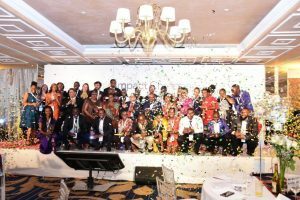 During the announcement of the investment by Google.org, 12 finalists for the first Google Impact Challenge in Kenya, which sought to identify and fund the most innovative social enterprises using technology to improve society on a local or national scale, were unveiled. Lewa Wildlife Marathon was named the winner of the Public Vote, while African Prisons Project, Startup Lions and Ujuzi Kilimo Solutions won the Judges’ Vote. Google also said that it will provide support and training to the 12 nonprofits to scale their projects. The 12 took part in a challenge that was launched in May 2018 in Kenya, Nigeria and South Africa and during the six-month campaign period, over 5000 entries were submitted from the three countries, with over 1000 entries from Kenya. “Google celebrates the nonprofits that took part in the Google Impact Challenge, especially for the way that their work is fueling social and economic change in their communities. This Challenge is part of our ongoing commitment to invest and build initiatives relevant for Africans’ everyday lives,” said Charles Murito, Country Manager, Google Kenya.